In recent years we’ve been trying to raise the profile of professions and professionalism in the Civil Service. Some civil servants – lawyers or psychologists for example - belong to professions which are externally regulated. Others such as commercial and Project, Programme and Portfolio Management (P3M) experts belong to groupings which are increasingly acquiring the trappings of a formal profession. And then there is the policy profession, which doesn’t really exist in this form outside the Civil Service. Does it matter how we use the term “profession” or are we at risk of degrading the currency by extending it too widely? There has been much debate about this issue and I was set off thinking about it again in the wake of the Civil Service Awards 2014. 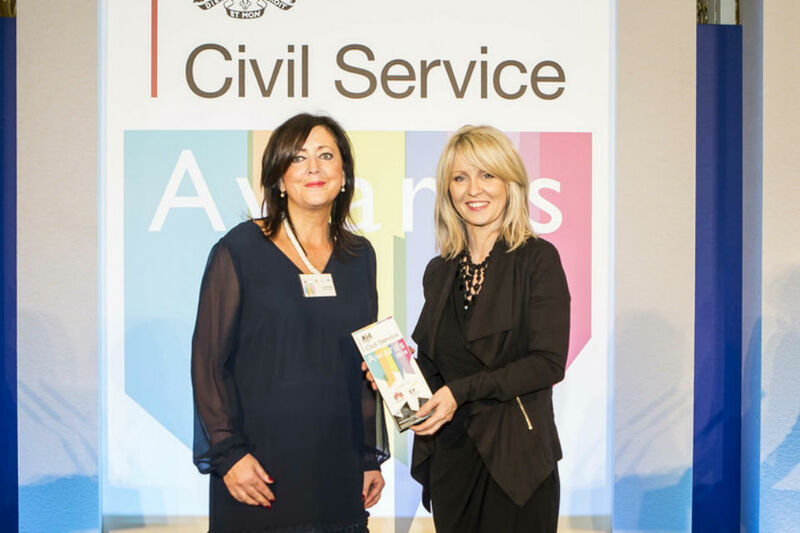 The Ministry of Justice (MoJ) had 2 award winners this year – 1 of whom, Dr Siriol David, HMPS Psychological Services Wales won the Professional of the Year Award. Dr David works with high-risk offenders in HM Prison Service in Wales where she has developed an unparalleled ‘ through the gate’ psychology service ensuring high-risk offenders are well-managed throughout the sentence not just whilst in prison. As well as working with offenders with personality disorder, Dr David is committed to improving training in her own profession; her work with the university sector will ensure that psychologists working in HM Prison Service have the highest quality training. 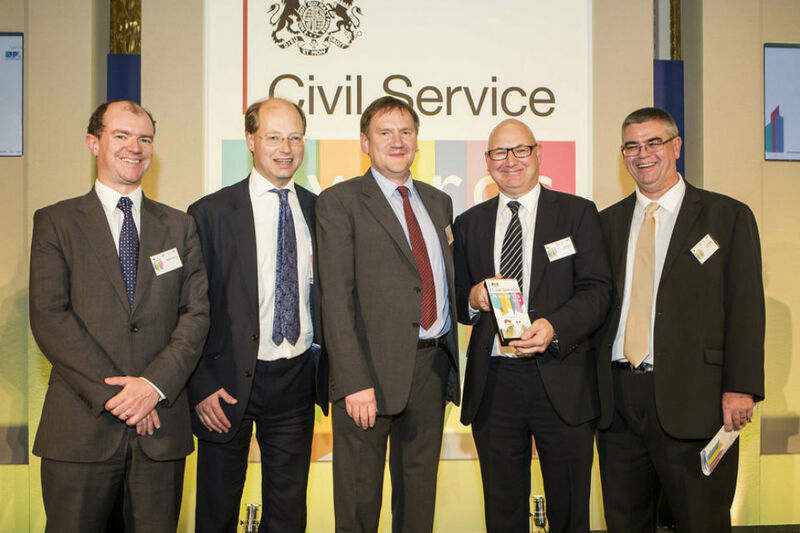 The other MoJ winner was the Estate Directorate Programme and Project Delivery unit. This team were nominated for delivering a new £19 million houseblock and education centre at Cookham Wood Young Offenders Institution with a 20 per cent cost saving and 6 weeks ahead of schedule – while operating inside a working offender unit. Their success reflects the fact that the MoJ Estates Directorate is now recognised by the UK construction industry as an exemplar in use of the sophisticated Building Information Modelling (BIM) tool. During this project the team developed best practice in BIM project documentation which has been fed into the national BIM standard, setting a new best practice precedent for UK construction. No one would deny that both these awards went to consummate professionals, whose work would be recognised by their peers in the private and wider public sector. But what of their Civil Service colleagues in “the policy profession”? Policy managers in the Civil Service do work which has no real counterpart in other sectors. A good policy manager requires a range of skills and some of these – for example strategic planning or use of analytical evidence – are common to many businesses. Like us, our local government colleagues work with skills in managing legislation and supporting ministers in Parliament. By creating a policy profession (led by Chris Wormald) we have raised the profile of the important work of supporting ministers in the development and implementation of policy. Chris and his policy profession colleagues have developed and refined toolkits to enable more open and consistent policy making across government. We have reinvigorated the energy behind policy training across departments, including an accredited qualification. And we have unleashed innovation in policy making, with initiatives on data science, user insight, horizon scanning, the role of design in good policy, data visualisation and much, much more (not least through ‘What Works’ centres). Does all that make policy a profession in the same way as the legal profession or medicine? No, I don’t think it does. Were we right to create a policy profession to unleash all this energy? Yes, we were. This is very interesting - and congratulations to the winners! Thanks for the link to the OPM blog but if I may shamelessly promote us even more, yesterday we posted a blog from the Policy Profession Support Unit about their professional accreditation project and they're really interested in people's views! Is the currency of Professionalisum going to be devalued if it is used too widely? Professionalisum is about determining how a particular occupation should be conducted and making sure that standard is maintained to ensure quality service. Most commonly thought of professions might be Doctors and Lawyers etc. And it tends to develop some airs and graces amoung some and perhaps snobbery. The term will be devalued far more by inappropriate pressures to act in unprofessional ways than say setting professional standards for care workers looking after the elderly and calling them Professional Care Workers. This blog made me laugh. I am already a member of a professional body related to my discipline through personal hard work alone. My civil service employer has denied several requests to support my additional application for chartered status citing lack of resource. humph!